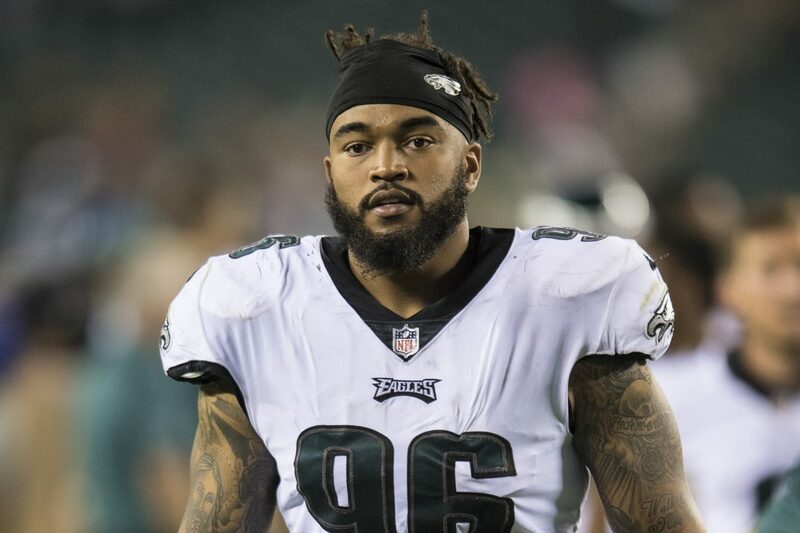 Even though Derek Barnett can boast of being one of the most talented defensive ends in his class, he would not in a million years have guessed that he would become a Super Bowl winner in his first NFL season with the Philadelphia Eagles. The 14th overall pick at the 2017 NFL Draft, who earned a spot on the 2017 Pro Football Writers Association All-Rookie Team, is a player to look out for in the coming years as he hopes to continue to bolster his impressive career. Barnett, whose full name is Derek Anthony Barnett, was born to a single mother; Christine Barnett, on the 25th of June, 1996 in Nashville, Tennessee. While growing up, his mother worked three jobs in order to put food on the table as her son was making a name for himself in the local parks and at school due to his athletic abilities. Derek Barnett began playing organized football in fifth grade but it wasn’t until he attended Brentwood Academy, a famous Christian college preparatory school in Brentwood, Tennessee that he began to really see a future as an athlete. In his senior year at the school, Barnett registered a total of 60 tackles and 5.5 sacks to earn himself a four-star rating going into college. Despite interest from a number of college programs, Barnett opted to stay close to home by committing to attend the University of Tennessee. Right from the get-go, Barnett’s decision to attend Tennessee looked to be the right one as he made his way right away into the history books by being the first true freshman playing the defensive lineman position to start a season opener. He went on to help his team to a victory in that game, recording a total of three tackles. At the end of that year, Derek Barnett had started 10 of all 13 games and registered 73 tackles (20.5 for loss) and 10 sacks, of which the last two stats were true freshman records. He was then named to the All-SEC Freshman Team. In his second collegiate season, Barnett recorded 69 tackles (12.5 for loss) and 10 sacks and was named to the All-SEC Second Team. In 2016, what turned out to be Barnett’s last collegiate season, he recorded 56 tackles (19 for loss) and 13 sacks. His total college career sacks of 33 ended up being a University of Tennessee sack record as he was named Consensus All-American and First-team All-SEC. Barnett subsequently revealed he was forgoing his senior year to enter the draft. Before the 2017 NFL Draft, Derek Barnett was projected by many analysts to be a first-round pick after he made a decent showing at the NFL Combine and at Tennessee’s Pro Day where was ranked amongst the top five defensive ends in his class. On draft day, Barnett was selected by the Philadelphia Eagles with the 14th overall pick, making him the third defensive end to be drafted in the 2017 NFL Draft. He went on to put pen to paper on a $12.85 million contract worth over four years that came along with a signing bonus of $7.48 million. In training camp, Barnett had to battle for a starting position with other older players. He ended up being named the team’s backup right defensive end as he went on to make his debut in the season opener against the Washington Redskins where he recorded two solo tackles to help his team to victory. In a week 6 game against the Carolina Panthers, Barnett recorded his first career sack on quarterback Cam Newton. In the following week, he managed to record 2 sacks for the first time in his professional career. He repeated that feat in week 11 against the Dallas Cowboys before going on to score his first career touchdown in week 16 against the Oakland Raiders. Derek Barnett and the Eagles finished the season with a 13–3 record on the back of his 21 tackles (18 solo) and 5 sacks in 15 games to clinch the NFC East title. In the NFC Divisional Round, he helped the Eagles see off the Atlanta Falcons before contributing with two solo tackles and a strip sack against Minnesota Vikings quarterback Case Keenum in the NFC Championship game. The Eagles then went on to win the New England Patriots in Super Bowl LII to win him and Philadelphia their first ever Super Bowl. The University of Tennessee career sack record holder has a height of 6 feet 3 inches or 1.91 m and weighs about 259 pounds or 117 kg. As stated on the NFL Combine website, Derek Barnett further has an arm length of 32 1⁄8 inches or 0.82 m and has a hand size of 10 inches or 0.25 m.